It's all about the theme song! Well... mostly! Maybe this is part of what sparked my interest in becoming a musician... ok, it could have also had something to do with my parents building pipe organs or my mom being a concert organist. But for me, the thing that could make or break a show was the theme song! We rarely had access to cable as kids so it was mostly public stations. My favorite shows were well connected to whether or not the theme song was good. What little kid didn't get a bolt of excitement when they heard the opening riff to "Sesame Street! ", Also, almost any child of the 80's can surely recognize this melody "Believe it or not I'm walking on air! I never thought I could feel so free!" admit it, you heard the melody and now it's stuck in your head! Also, while I never really watched Dallas, one of my favorite childhood memories was that when the theme song came on, I with my head full of curly ringlets would dance to it with my mom. Then when the dance was done, usually in a fit of giggles I would march off and go to sleep. 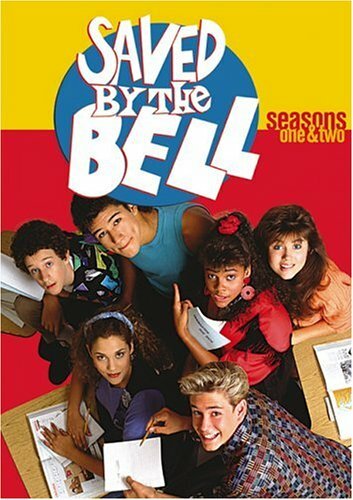 As I grew, I found that my TV memories were less wrapped up in the theme song, but more punctuated by what stage I was at in my life, for example "Saved by the Bell" decent theme song, but more known for giving me a glimpse of what I would hope high school would be like when I got there. In college it was "Friends." The whole dorm would gather together and see if they could get the claps right in the song... for those of you wondering there are four, not five. Paul Simon singing "The Sound of Silence" at Ground Zero. Too profound to fully explain. Throughout my life my TV memories go hand and hand with the music that accompanies them, the two work together in tandem to great effect. Whether it's to excite and spark imagination as the opening theme song to "Deep Space 9" or to bring out the silly "Phineas and Ferb" props to my kids for exposing me to that! My favorite is when TV and music work together to remind me of just how blessed I am. Listen to the guest appearance of the Canadian Tenors on Oprah singing "Hallelujah" I defy you to not see the beauty in life at that moment. So, as a favor to yourself... when you turn on the TV, keep your eyes open, but also keep your ears open and remember... It's all about the theme song. Sally Preston is a wife, music teacher and mother of three. She currently resides in Des Moines, Iowa where she enjoys soaking up the rich cultural events Des Moines has to offer. She also is an avid scrapbooker and most of all enjoys spending time with her family. A Self Pub Book on the Grocery Store Shelves?